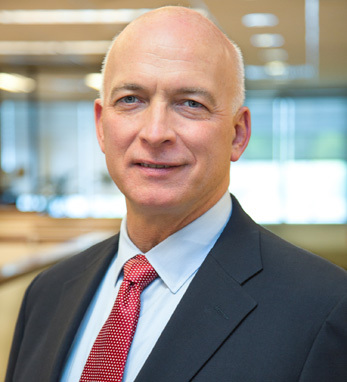 Dennis McCann is Managing Director and head of Communications, Content, and Solutions Marketing for the UBS Wealth Management business in the U.S. In this role, Dennis is responsible for the strategic positioning and execution of internal and client communications, editorial content delivered across UBS’s various online platforms, and the marketing programs for wealth management solutions. Dennis joined PaineWebber in October 1992, which was subsequently purchased by UBS. He has held a range of positions in both firms, including serving as Chief of Staff for the President of the Wealth Management U.S. business. He serves as the chairman of the New York chapter of the Swiss-American Chamber of Commerce and is co-Chair of the UBS Americas Pride Committee. He holds a Bachelor of Arts in economics with honors from the State University of New York at Binghamton, a Bachelor of Fine Arts from Parsons School of Design and a Masters of Business Administration in finance and marketing from New York University, Stern School of Business. His mother’s family hailed from counties Sligo, Mayo, and Waterford. Her grandparents came to the States in the late 1800s. His father’s family immigrated in the late 1800s from Donegal. Both families settled in Brooklyn. Dennis resides with his partner Chris in Manhattan, and they spend as much off time as possible in Kismet, Fire Island, N.Y., enjoying family and friends, the beach, and water sports.